After the explosion, he had come by the hospital several times, but not after she regained consciousness. Now, with unwelcome time on his hands, it was harder to refrain. Sounds like an action-packed read! Intriguing teaser -- why is he staying away? Sounds like a stalker! I'm curious about the explosion. What happened? Why does he have to refrain from visiting her? That's a great Teaser. 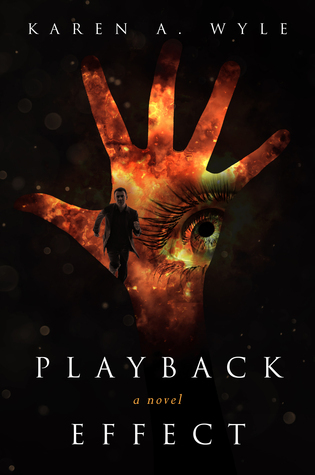 I have seen Playback Effect around and it is on my TBR. Great teaser. How intriguing, is he the reason she's in the hospital (or maybe just thinks he is), and feels guilty? I wonder if he caused her injuries or is protecting her? Sounds like a good thriller.